I couldn’t think of 5 more audiobooks to add to this list, but I think this is still a pretty awesome list anyway. I’m sure I’ll have a bunch more to add to future lists since audiobooks are my new boredom buster during long days staring at spreadsheets. 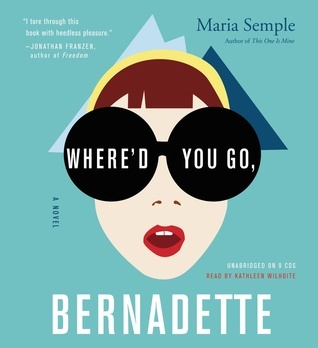 Where’d You Go, Bernadette by Maria Semple – If you haven’t read my review of this book then you didn’t get to see me gushing about what an awesome job the reader did. There’s a part in the book where Bernadette’s daughter, Bee, is watching a Christmas concert and the church choir starts singing. The reader suddenly starts singing and it’s just amazing. I can’t imagine reading this book in print now. 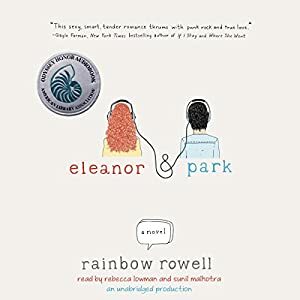 Eleanor & Park by Rainbow Rowell – I really enjoyed listening to this book because it had two separate readers and made it really easy to keep track of who was narrating. The only thing that would have made this even more amazing is if all the music that is mentioned in the book would have been part of the audio. 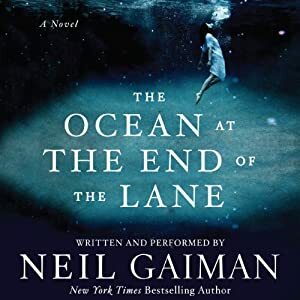 The Ocean at the End of the Lane by Neil Gaiman – Whenever people say they can’t get into audiobooks I suggest that they try one of Neil Gaiman’s books before making that call. As the author and the reader, he knows exactly how the book should be read and it is seriously one of the most awesome experiences. I was lucky enough to hear Neil read part of this book in person during his last official Canadian tour, and it was probably one of the coolest experiences in my life. 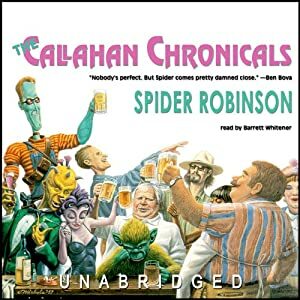 The Callahan Chronicals (Callahan’s #1-3) by Spider Robinson – I listened to the entire Callahan series instead of reading the books and it was a great experience. The reader does different voices for all the characters and manages to string together all the individual stories into a cohesive narrative. Something as complicated as this series could be confusing in audio, but the whole thing works so well with such a talented reader and great writing. 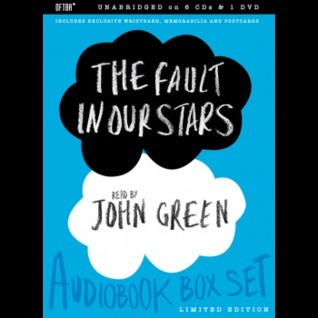 The Fault in Our Stars by John Green – This one is a special case because I’m not recommending the official audiobook read by Kate Rudd. Instead, I think that the limited edition boxed set read by John Green himself is the best version. He only recorded it because he had so many people request it, but I think that listening to an author read their own work is always the best way to hear a story. He stresses things in the story that you might not catch by reading the text or listening to someone else read it. It’s the only audiobook that I’ve actually bought the physical CDs for, but it’s so worth it. I’ve got the Where’d You Go, Bernadette audiobook on hold at the library. Just waiting for it!